Celebrate Togetherness This Thanksgiving at the wannaB inn! It’s almost time for one of the biggest celebrations of the year. Thanksgiving is just around the corner, and what does that mean? Cold? Snow? Icy roads? To us, Thanksgiving is all about togetherness, and we happen to think that you can celebrate togetherness just about anywhere…but it’s nicer to do it on a warm, sandy beach. Why not bring the whole family to the wannaB and celebrate with a feast together in comfortable paradise! Turkey and stuffing can be made anywhere, as long as you have a kitchen. Luckily, every one of our rooms comes equipped with all the amenities you need to prepare a decadent holiday feast! The only difference between our kitchen and yours is the beautiful view of the Gulf of Mexico right outside the window. It may not be home, but when paradise calls, why not answer and toast to family on a warm, beautiful beach? If you’re looking for a change of pace this Thanksgiving, then bring the family to Weston’s wannaB inn. November temperatures are hovering around the high 70s, and the summertime crowds are just a memory. With weather this sunny and warm, you can still partake in a variety of activities that would be impossible in other parts of the world during the cold months! Not only will you get to enjoy your family’s feast in paradise, but you’ll also be able to spend quality time with them afterwards outdoors. Tossing the pigskin around our 900’ of Gulf of Mexico facing beachfront. Sun soaked dozing around our two heated pools. Long, post-dessert strolls down the beach. Enjoying beautiful Manasota Key sunsets. Sharing moments with family and making memories to last a lifetime. We’re confident that every member of your family will be comfortable at the wannaB inn. Our facility offers a wide variety of room types, each with the aforementioned full kitchens that are just begging to be cooked in! We’ve got the perfect accommodations for Grandma and Grandpa, right down to your active kids. Besides all the activities, eating, football, and fun, Thanksgiving offers an opportunity to relax and remember all the good things in life. Bring your family to the wannaB inn and discover what those good things truly are. It’s almost time for Racefest, one of the most exciting events to come out of the annual Englewood Beach Waterfest! 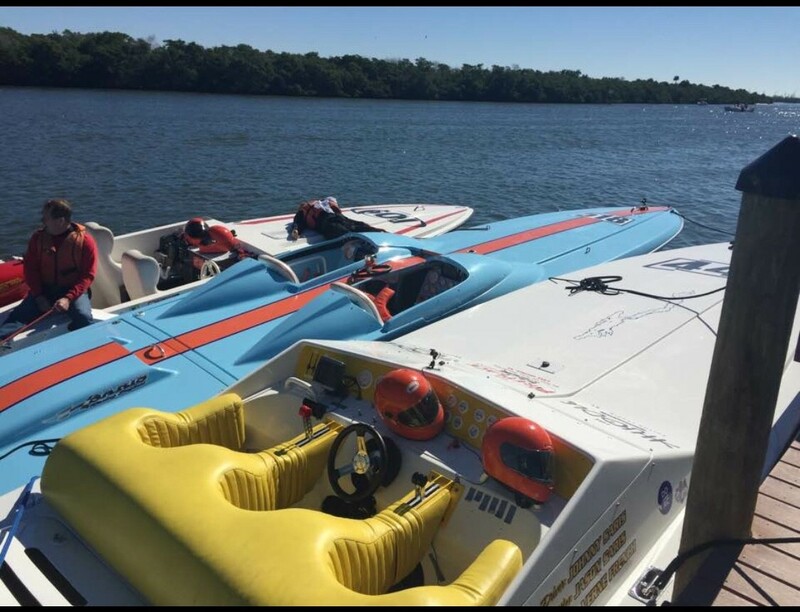 If you’ve got the need for speed and are staying at the wannaB over the November 17th weekend, then we can’t recommend enough that you head down to Englewood beach to get in on the fun! The weekend is sure to be filled with excitement, action, and a whole lot of fast and beautiful boats! What could be better? Need more convincing? Well you’re in luck, because we’ve got a full run-down of the festival right here. The three-day festival kicks off on November 16th and runs through the 18th. On Friday, November 16th, be sure to stop by historic Dearborn Street for a chance to get an up-close-and-personal look at the boats and meet some of the teams at the Block Party. The party is going to be a free event to the public where you can get familiar with the over 40 boats that are entered in the races. The block party is going to run from 5:00pm to 9:00 pm which should provide ample time to check out each vessel (provided you don’t get held up salivating over a particularly shiny one). And what’s a party without food and drinks? Street vendors, food trucks, and beverage stations will all be setting up to make sure you’re well taken care of, so you can make a whole night of the party! Saturday, November 17th is when the real fun begins. Races kick off at 11:00am, with the last race of the day being held at 3:00pm. Similarly, races run from 11:00am to 3:00pm on Sunday, with an awards ceremony being held at 7:00pm. Traditionally, these races are high-octane, so if you’re a fan of aquatic action, then you’ve got to head down to Waterfest Village on Englewood Beach during the event. 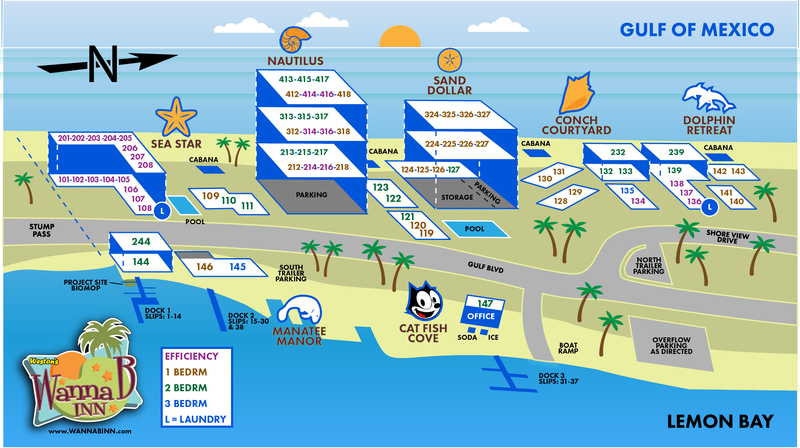 If you want to make a whole day of it, make sure you stop by Waterfest Beach Oasis and Food Court too! Howard’s Restaurant will be offering seafood and American fare, and Paraiso will be grilling up some authentic Mexican favorites! Plus, there will be plenty of beverage stations serving: beer, wine, mixed drinks, margaritas and sangria, so you can really turn Racefest into a party! Marine CSI – learn about Mote’s team of experts who investigate animal standings. Spineless Sea – learn about the weird adaptations of the invertebrates. Radical Reefs – learn about the interesting world of the reef’s ecosystem. There are plenty of other fun activities for your kids to enjoy throughout the day as well, like: a bean bag toss, ring toss, face painting, a photo booth and much more. The 2018 Englewood Beach Racefest is going to be a weekend of fun you won’t soon forget, and with so many food and drink options, and activities for the whole family, it should be a no-brainer when it comes to checking out the event. If you’re interested, you can find more info as well as tickets to the event on the Englewood Beach Waterfest website. For more on the goings on around the wannaB, stay tuned to wannaBinn.com, and don’t forget to follow us on Facebook, Instagram and Twitter for ideas about things to do on your Florida getaway! Fall is a special time in Florida. The leaves may not change color and fall as the name of the season would imply (we like our palm trees just the way they are anyways), but we do enjoy quite a bit more time outdoors than other countries once the cold months start to roll around. We’ll be the first to admit that summer gets hot in Florida, but now that it’s Fall, it’s time to enjoy some cooler, yet still beautiful weather. 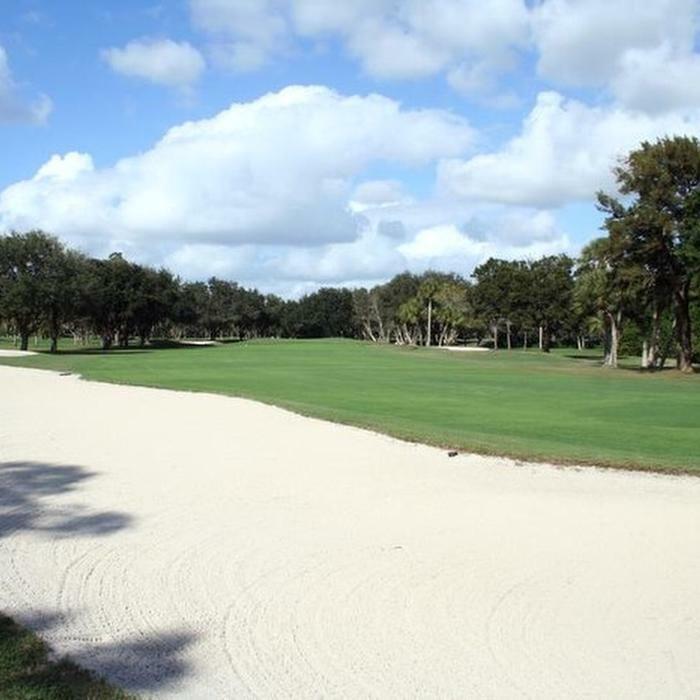 When writing about now being the perfect time to get out and play some golf, we found ourselves asking ‘what are some other things to get out and enjoy now that the weather’s turning?’ That led us to this: The Top 5 Things to do in Florida this Fall! With the temperature about to average at around 84° (not to mention the Summer humidity letting up), now is the ideal time to get out and enjoy some of Florida’s natural beauty! 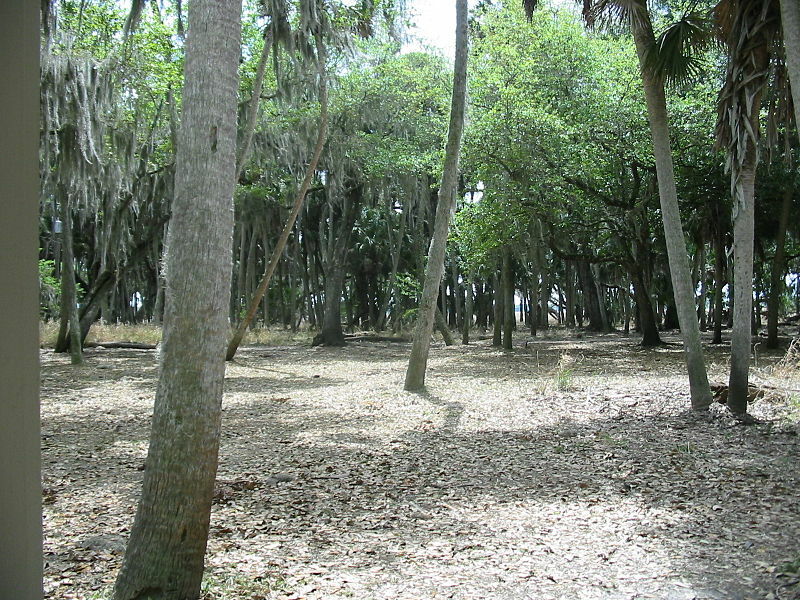 Having parks like Stump Pass, Myakka State Forest, Indian Mound Park, and Don Pedro Island State Park so close to the wannaB (all within 10 miles) means there’s nothing stopping you from getting out for the day and getting in touch with nature. Because, let’s face it, during the Summer, sometimes we’re perfectly fine with staying a little out of touch with nature. This free annual event is one of our favorites and indicates that Fall is truly underway. More than 100 artists participate in displaying their latest works, whether they be sculptures or paintings. The festival takes place November 3rd and 4th on West Venice Ave, just about a half-hour drive from the wannaB inn. With the Fall comes the perfect temperature to appreciate the art on display without having to rush into a building with air conditioning. Who knows, you may just end up with your next favorite photograph to hang on your wall when you return home – always a reminder of that beautiful Fall you spent in Florida. Venice has one more trick up its sleeve this fall, and that’s the Venice Blues Festival! This year’s festival takes place on November 17th in Maxine Barrett Park. If you’re a blues lover, then do yourself a favor and head out to this festival featuring performances from Little Jake & the Soul Searchers, Travis Bowlin, Meg Williams and more! This is a night that blues fans won’t soon forget, and with the weather a little cooler, you’ll be able to stick out the whole show no problem. 1. Who Could Forget Halloween? One night of the year that absolutely screams fall is Halloween. If you’re bringing the kiddos with you for a stay at the wannaB inn this fall, it doesn’t mean they have to miss out on the fun of trick-or-treating! Quite the opposite, in fact! There are plenty of Halloween Haunts, and festivals to enjoy with the family, but our favorite is the Dearborn Street Halloween Safe Walk! For 23 years running, historic Dearborn St. in Englewood has been home to a trick-or-treating event with live Halloween music, photo props, costume contests and more! Kids absolutely love it (which makes mom and dad’s night a little easier), not to mention the plethora of restaurants on Dearborn St. so you can cap your night off with a bite to eat. Don’t miss out on Halloween this year, make sure your costumes are packed, and head down to Dearborn St. – or should we say Deadborn St. – this October 31st for a spooky night for the whole family! Florida is automatically associated with summer, but the truth is, there’s plenty of fun to be had all year round at the wannaB inn. You just have to know where to look. With plenty of awesome activities happening during the Fall, and with the temperature taking a bit of a drop (thank goodness), there’s never been a better time to stay with us. There’s nothing like planning a vacation. Half the excitement of getting away is the anticipation of a great vacation with those closest to you. Planning a vacation can also be stressful – especially if you’re the one that all the planning falls to. With everyone in your group wanting to do something different, and there being so many activities to choose from, the perfect vacation can sometimes start to look like the perfect storm. That’s where we come in. At the wannaB inn, we hope for nothing but blue skies for you and yours, so we’ve done some of the work, and scoured the internet to put together a list of the Top 5 things to do while you stay with us. We tried our best to appeal to a wide audience, so you’re bound to find something that everyone in your group can enjoy, so you can relax this vacation. Let’s get started, shall we? What better way to get some culture in during your stay than with a little theatre? The Lemon Bay Playhouse is less than a ten-minute drive from the resort and holds year-round performances. The Lemon Bay Playhouse is renowned in the area for its captivating shows put on by talented performers. Currently playing at the theatre is a comedy by the name of Last of the Red Hot Lovers, but coming up in October is Deathtrap, an inspired combination of comedy, mystery and thriller. Veidhi Gite wrote about the Lemon Bay Playhouse in her article, 12 Best Things To Do In Englewood, Florida, and you can follow her on Twitter right here. Vacationing with an art lover? Do they know that Florida is home to the second largest collection of surrealist artist, Salvadore Dali’s, works? This may not be the traditional first thought when it comes to vacationing in Florida, but the Dali Museum, located just an hour drive away from the inn, in St. Petersburgh, is one of the coolest museums around. Explore on your own or take part in one of the several guided tours, then cap off your day with a visit to the museum restaurant which features Spanish inspired cuisine! A must-see for any art lover. We found this spot while looking through Vacationidea’s 25 Best Things to Do in Florida. Be sure to check them out on Facebook and Twitter for more…vacation ideas. Are the kids coming with you on your vacation? Then you’ve got to check out Busch Gardens in Tampa! Just over an hour’s drive from the inn, Busch Gardens is the best of both a zoo and an amusement park. Enjoy some high-flying fun on a selection of roller-coasters or enjoy an up-close-and-personal look at the park’s array of exotic (and awesome) animal species. Plus, Busch Gardens always has exciting events going on, like the Bier Fest where Mom & Dad can sample over one hundred beers from around the world. All told, it’s a fantastic place to spend a day with the family! This suggestion caught our eye in The Crazy Tourist’s article 25 Best Things to Do in Florida. Be sure to check them out on Instagram and Facebook for more awesome Florida vacation ideas. They’re not all crazy, we promise. If you’ve been to the wannaB inn before, or have seen our social media, you know that we’re big fans of Stand-Up Paddleboarding, or SUP for short. Well, how about a new twist on an old classic? Hooked on SUP now offers Yoga Stand-Up Paddleboarding classes. These classes are open to people of all ages and skill levels. Plus, they take place right in Englewood and the surrounding areas, so you won’t have to stray far from the inn at all. Relax with a little mediation while getting your core workout in, all from the serene waters of Florida. We love Stand-Up Paddleboarding, but we owe Kara Franker for turning us onto these Yoga SUP Classes in her article, 8 Eco-Friendly Things To Do In Charlotte Harbor And The Gulf Islands. Check her out on Twitter and Instagram for more interesting things to do in Florida. Would it be a real ‘Top 5’ list about Florida if we didn’t mention fishing? This one might be a no-brainer, but one of the most popular activities around our inn is fishing. Our guests love to get out on the docks to try and catch a big one. It’s a relaxing activity that can be truly rewarding. Did you know that you can take a boat tour specifically for fishing though? It’s true! There are several tour operators, like: Captain Van Hubbard, Grande Adventures, and more that organize amazing fishing tours around the Gulf. These tours are a great way to introduce your kids to one of coastal Florida’s oldest (and best) activities and is one of the greatest ways to spend a day while visiting Florida. This is another idea that we happened upon in Veidhi Gite’s article, 12 Best Things To Do In Englewood, Florida. We think these are some of the best ways to vacation in Florida, but of course, there are hundreds of activities, restaurants, historical sites, and more to check out while you’re here. We wanted to take some of the load off when planning what you’ll do with your group, but one thing we didn’t mention (and one of our favorite ways to spend the day) is to just relax on a spot of your choosing on our over 900’ of Gulf of Mexico facing beachfront. However you choose to spend your vacation, if you’re staying at the wannaB inn, we know you’ll have a great time. For more goings on around the resort, make sure you stay tuned to wannabinn.com, and don’t forget to follow us on Facebook, Instagram, and Twitter so you don’t miss a thing!